Daniel Luis Pineda known by the name NA / DJ NA and as one half of the group Nguzunguzu, is a musician DJ producer artist based in Los Angeles California. He is a co founder of the Label Dise Records and a founding member of the label Fade to Mind. He is known for several EP’s as Nguzunguzu and solo , DJ mixes, remixes , film scores and production with artists such as Kelela, Tink, Future Brown and Fatima Al Qadiri. Born and raised in Jamaica, Dion McKenzie aka TYGAPAW is a Brooklyn-based multi-disciplinary artist, DJ and producer. TYGAPAW infuses her Jamaican ancestry into deeply lush beats and mixes that are diverse and experimental sonic representations of her life, experiences and struggles. TYGAPAW is founder and curator of Fake Accent, a monthly queer club night that is host to an eclectic and open-minded community. 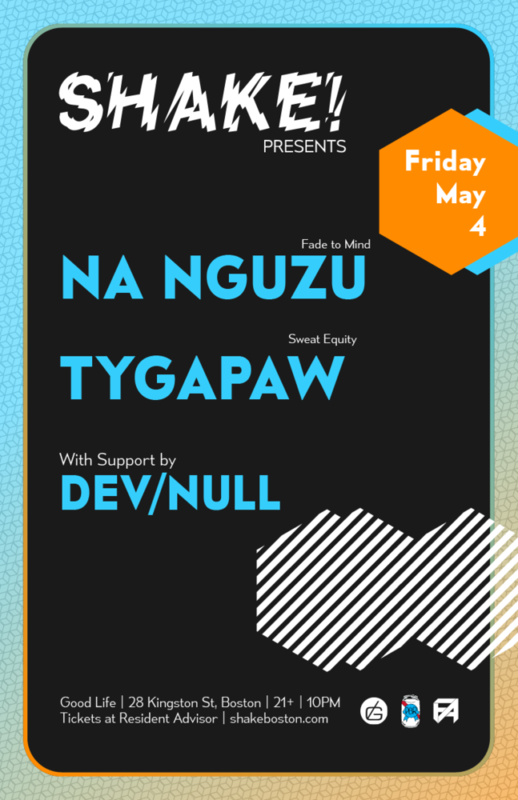 This year TYGAPAW saw the release of her debut EP, Love Thyself, with tracks that move from baile funk and swelling synth work to New York vogue and Baltimore club. 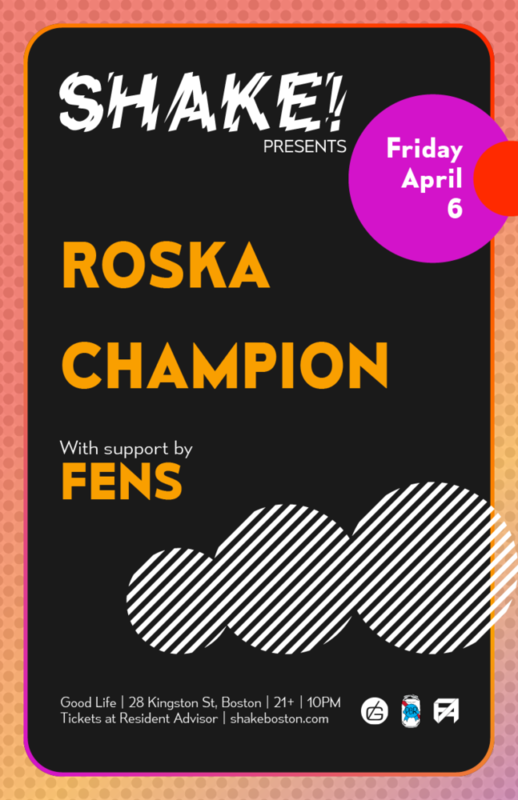 Working across UK funky, house and various, mutated strains of bass-heavy club music, Roska has earmarked himself as one of the UK’s most accomplished underground exponents. Through a series of releases via influential dance labels like Numbers, Tectonic and Hotflush, as well as two albums for Rinse Recordings in 2012, he originally blazed a trail for funky to return to the clubs. He has continued to push the sound firmly into the future too, albeit now punctuated by his wider influences, via his own, genre-blurring Roska Kicks & Snares (RKS) imprint. Presiding over 50 releases, RKS has welcomed the likes of MA1, Champion, Gemmy and Doc Daneeka to the label since its inception in 2009 and now functions around a core base of new artists; Tony Tokyo, J Kenzo’s Jodo Kast project, Majora, Transcode and Frederique. 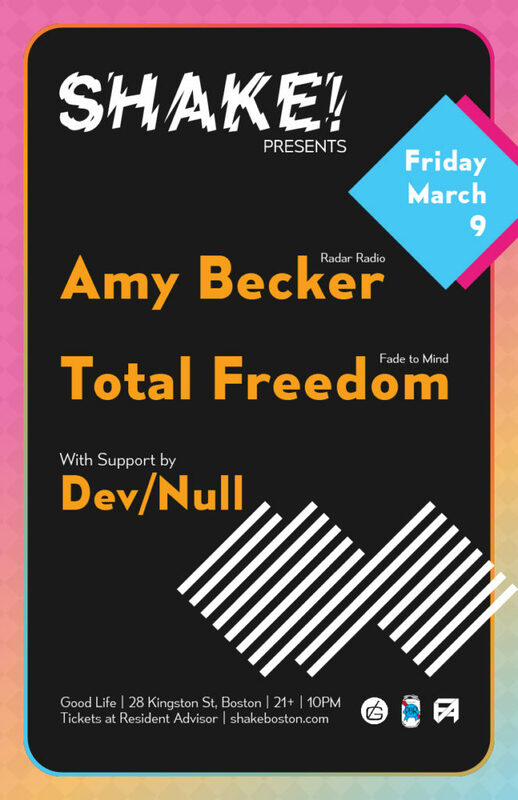 With a selection that spans from rap to reggaeton, grime to garage and club to UK funky, London DJ Amy Becker has stormed her way to the top of the circuit following huge demand for DJ sets all over the world. Her unique ability to mix genres gained her a residency on BBC 1Xtra in 2012, and since then she has impressed crowds on Boiler Room and held down a regular show on Radar Radio. Amy’s achievements extend outside of DJing, with a compilation, print zine, and the curation of a self-released 4 track ‘RMX’ EP on vinyl in 2016 featuring Sir Spyro, YGG, Scratcha DVA and Kamixlo. Her own imprint Acrylic has also propelled her to the forefront of the UK club scene, with countless sell out nights in east and north London boasting diverse lineups that reflect her eclectic taste and passion for championing the underground. DJ, producer, musician, Tunez has made his mark selling out African themed events in NYC and creating groovy mixes listened to by thousands of people world wide. He’s toured various venues across the US and has worked with a variety of artists (Including WizKid, Wande Coal, Burna Boy, and more) producing a sound that’s undeniably rising in popularity. His brand is a testament of hard work and dedication to his craft. Tunez is known for taking his listeners on a musical journey, traveling from one continent to the next with seamless transitions. He’s sure to evoke the new infectious dances sweeping Europe, Africa, the Caribbean and the United States from his audiences. British DJ The Large grew up in Bristol, surrounded by the vibes of Massive Attack, Tricky and St Paul’s Carnival. After many years living, promoting and DJing in London, she moved to New York, where she now acts as the official spirit guide for Mixpak, working closely with Popcaan, Murlo, Dre Skull and more. Known for her unique blend of up-to-the-time dancehall with the weirder edge of Caribbean-influenced club music and straight-up UK vibes, her sound is a ride through riddim culture, walking the line between a Passa Passa dance and an east London rave. We are happy to announce that Dee Diggs is joining the Shake! Boston team as our newest resident DJ! Dee Diggs is a DJ, event curator & organizer based in Boston, MA. She is unapologetically black, queer, & femme. She is building and using her influence to create space for marginalized groups to express & organize themselves. Her aim is to sustain more spaces where these groups are valued and thanked by name for their contributions to humanity. technique. Her technical skills on the decks are highly respected, but her truest talent lies in her knack for contrast and composition. From her latest productions on Valence and Flash Recordings, to her recent European tour culminating at Berlin’s Berghain, Noncompliant is expanding her sonic reach and bringing her energetic take on techno to audiences everywhere. 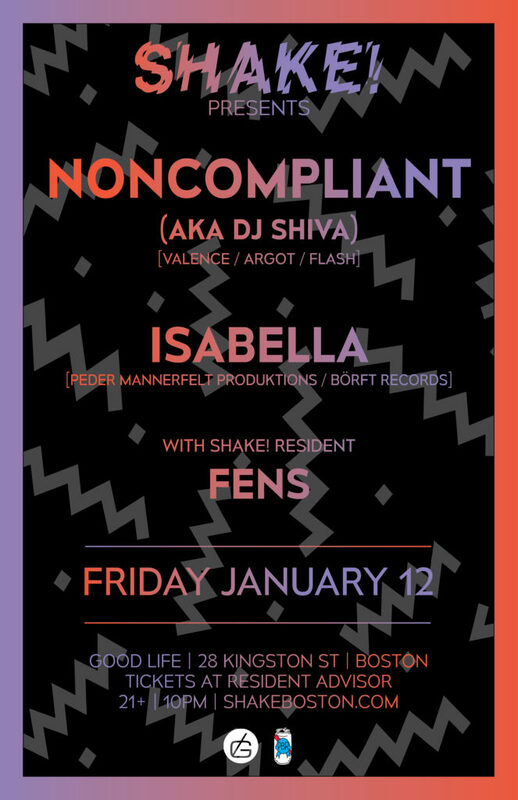 In the past several years, ISABELLA has emerged as a force to be reckoned with in the techno scene. In just the past year or two, she has released on on labels like Peder mannerfelt produktions, Börft and Jacktone. She has completed a US tour, played countless other shows around the East Coast, and released numerous high profile and well-received mixes for sites like Truants. This momentum shows no sign of slowing down going into 2018, as over the next few months she’ll be playing a high profile event with Drexciyan DJ Stingray in New York, and releasing tunes on the much-lauded UK label Type Records. Her live set is an experience where she uses a unique collection of synthesizers and drum machines to explore texture, fluidity and boundaries within sound. Shake! 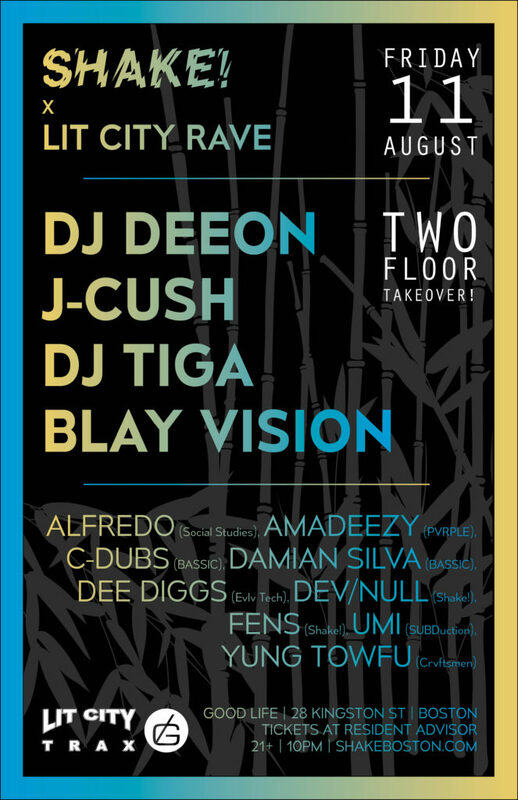 is back with another two floor, complete takeover of Good Life for our 3rd anniversary party! 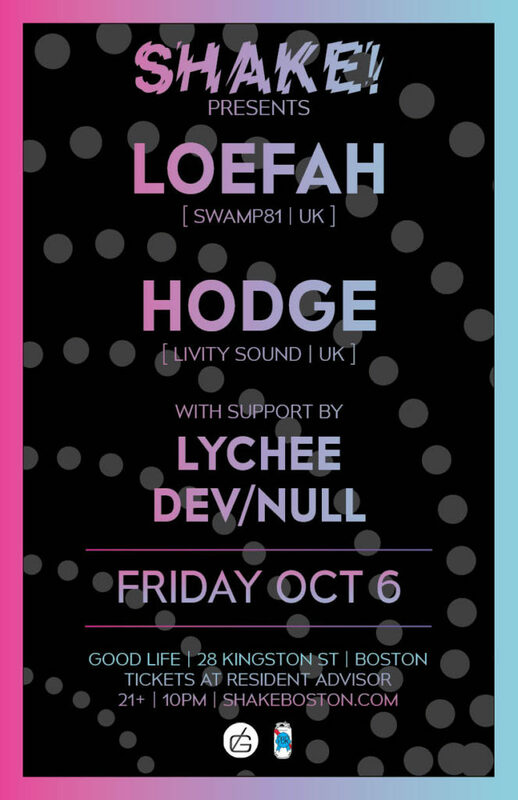 We’ll have both floors locked down all night with a special collection of headliners brought to us by none other than MikeQ and his label Qween Beat, joined by some of the best selectors and curators in Boston. 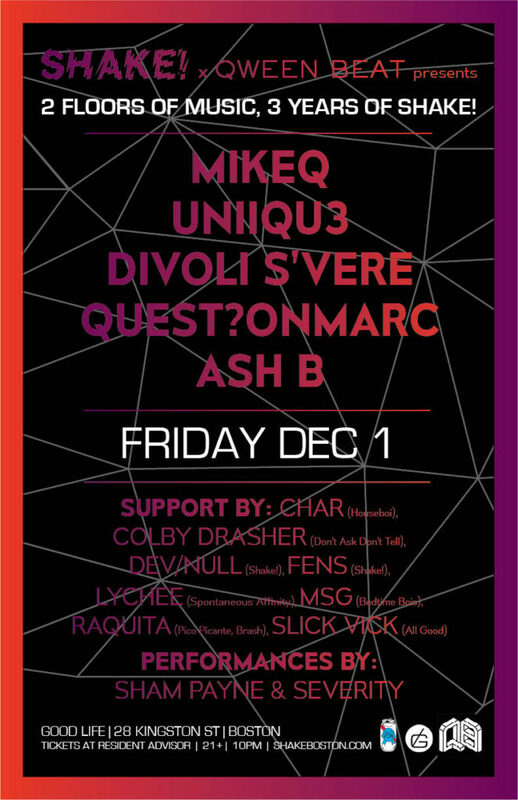 Qween Beat represents the leading edge of ballroom and vogue tilted club sounds, worldwide, and keeping with this spirit of all things #werk, we’ve invited some of Boston’s best talent in to round out the night. Umfang (Emma Olsen) is a DJ, producer, Discwoman co-founder and serious lover of techno. As one of the key figures of Technofeminism in Brooklyn, and more recently on the broader international stage at techno mainstays such as Dekmantel, Berghain, Sustain-Release and more, she has been delivering blistering sets of pure, minimal, straight ahead techno that has become her signature style. Umfang has also been instrumental in the core mission of Discwoman, helping to bring more representative line ups to electronic dance music, and giving a platform to female and non-binary producers and DJs on a global level. 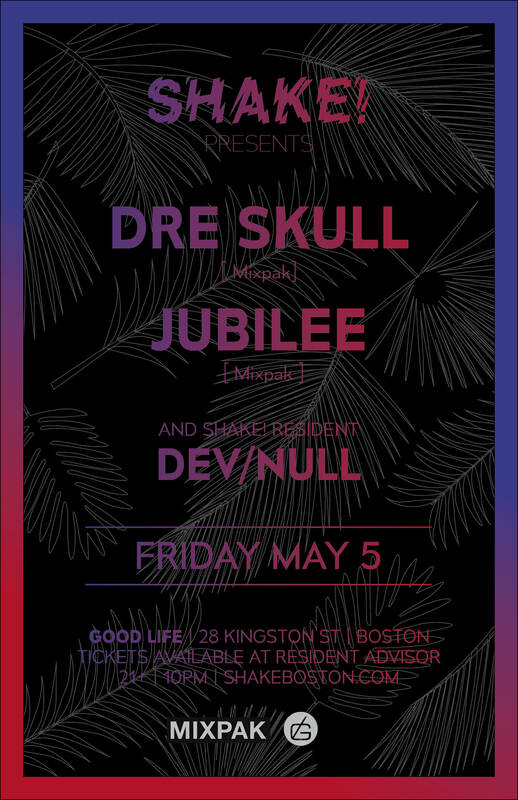 We are very excited to invite her to Shake for her Goodlife debut. 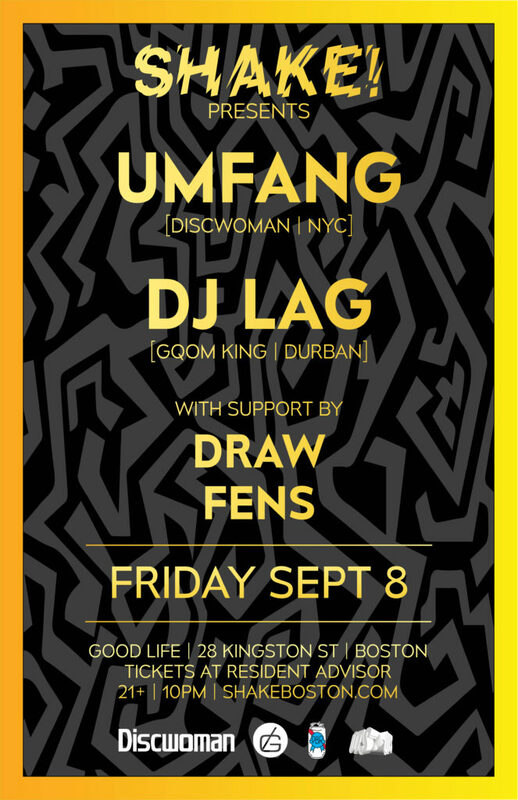 Making his Boston debut, DJ Lag (Lwazi Asanda Gwala) is one of the leading pioneers of the GQOM genre, a bass heavy, minimalist sound out of Durban, South Africa that has been steadily gaining popularity over the past few years. With it’s rise to popularity has been the rise of DJ Lag himself, playing around Europe and Asia, featuring appearances on the Boiler Room Johannesburg show, at Poland’s Unsound Festival, and playing at Cake Shop in South Korea, all by the age of 21. 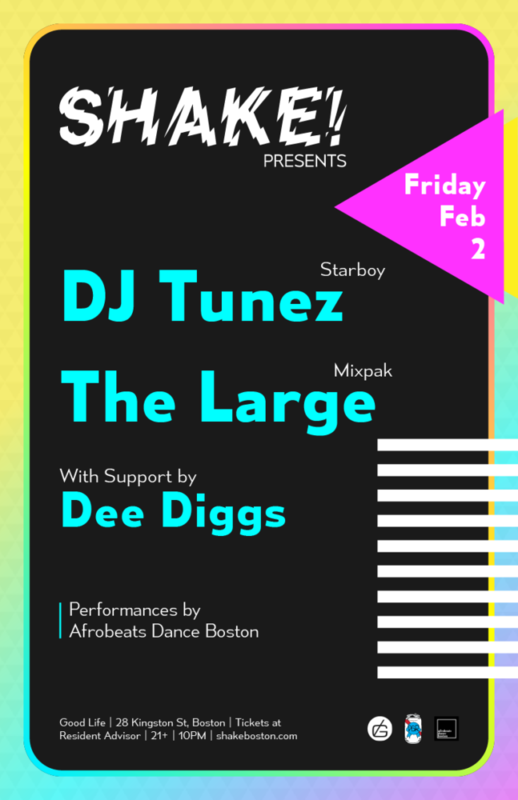 The distinct textural palate and rhythmic patterns from DJ Lag and fellow contemporaries such as Rudeboyz has become a favorite at Shake!, and we are excited to introduce DJ Lag to Boston for a very rare appearance. One of our favorite local parties, Draw often emerges to bring us some of the best underground parties in the city, featuring artists as Swing Ting, Murlo, Total Freedom, Mumdance, and more, all of whom represent producers and DJs beloved by Shake. We are excited to have three of their core residents help warm up the booth for some of our most exciting guests to date. Shake! is teaming up with London/NYC record label and club night Lit City Trax to bring you our biggest party yet, for a special two floor takeover of Good Life on August 11. Ghetto house legend DJ Deeon, Lit City Trax boss and Rinse.FM fixture J-Cush, MC/producer fresh off of his Turner Ave album release Blay Vision, and Jersey Club stalwart of Brick Bandits fame DJ TiGa join us alongside a whole host of local collectives representing some of Boston’s most cutting edge club sounds. While Mixpak is undoubtedly responsible for releasing some of the biggest names in dancehall in recent memory, they also have been turning out a steady stream of forward thinking, bass heavy club music that often touches on, and in turn inspires, the dancehall sound. Jubilee represents one of those artists who have helped establish that signature sound, along with contemporaries such as Dubbel Dutch, Murlo, and others. Hailing from Miami, her DJ style mimics the link between the early origins of hip hop and dancehall culture. Miami bass mixed with Jersey club, meets grime and other bass forward styles, she knows how to keep a party at attention and pumping.